I will have to edit this more later, but I wanted everyone to say hi to my friend Tanya. She was ever so kind as to let me paint her face with a look I wore to a sorority party last year. 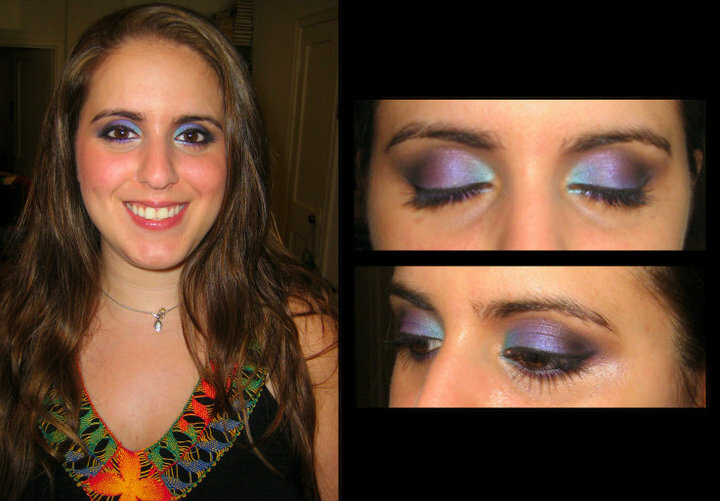 I did this mostly using Urban Decay's Alice in Wonderland palette, with the blending and highlight colors coming from MAC. --Stila lipgloss? Maybe? That I completely don't remember - it was just a pink color that was mostly translucent anyway!